When forty-year-old cop Winnie Farlowe lost his shield, he lost the only protection he had. Ever since, he's been fighting a bad back, fighting the bottle, fighting his conscience. But now he's in for a special fight. Never before has he come up against anyone like Tess Binder. She's a stunningly beautiful, sexually spirited three-time divorcee from Newport Beach--capital of California's Golden Orange, where wallets are fat, bikinis are skimpy, and cosmetic surgery is one sure way to a billionaire's bank account. Nearly a year ago Tess Binder's father washed up on the beach with a bullet in his ear. The coroner called it suicide, but to Tess it means the fear of her own fate. And Winnie Farlowe is a man willing to follow wherever she leads--straight into the juicy pulp of the Golden Orange, a world where money is everything, but nothing adds up . . . where death and chicanery flourish amidst ranches, mansions, and yachting parties. In his long-awaited new novel, best-selling author Joseph Wambaugh combines harrowing suspense, scathing humor, and a moving portrait of a man on the brink of self-destruction. Joseph Wambaugh is the hard-hitting bestselling writer who conveys the passionate immediacy of a special world. He was a police officer with the LAPD for 14 years before retiring in 1974, during which time he published three bestselling novels. 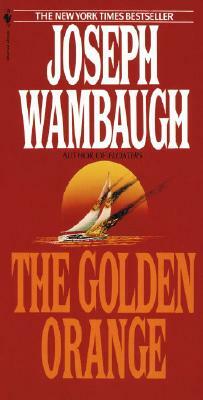 Over the course of his career, Wambaugh has been the author of more than 20 works of fiction and nonfiction, all written in his gritty, distinctive noir-ish style. He's won multiple Edgar Awards, and several of his books have been made into feature films and TV movies. He lives in California with his wife.